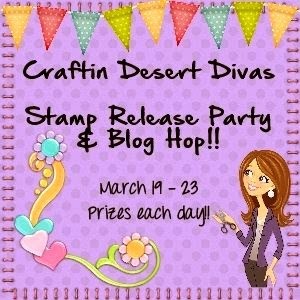 Welcome to our 2 day Craftin Desert Diva's stamp release party and blog hop!!! The big day is finally here!! 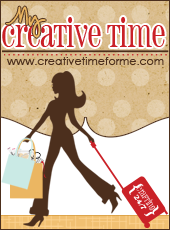 This is the Grand Opening of the Craftin Desert Diva's Shop!! 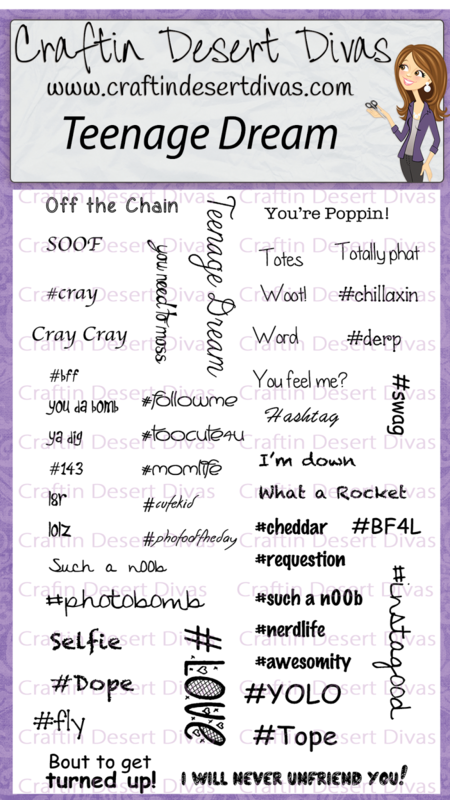 !We have a new Craftin Desert Divas Shop! 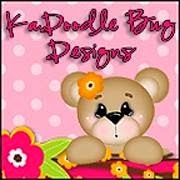 !&Craftin Desert Divas Gallery on Facebook. Now if you came here from Georgiana then you are in the right spot. It not, you will want to start at the beginning with Tara. A complete blog line up is located for you below my post in case you get lost along the way. I designed a swing card in my silhouette software. 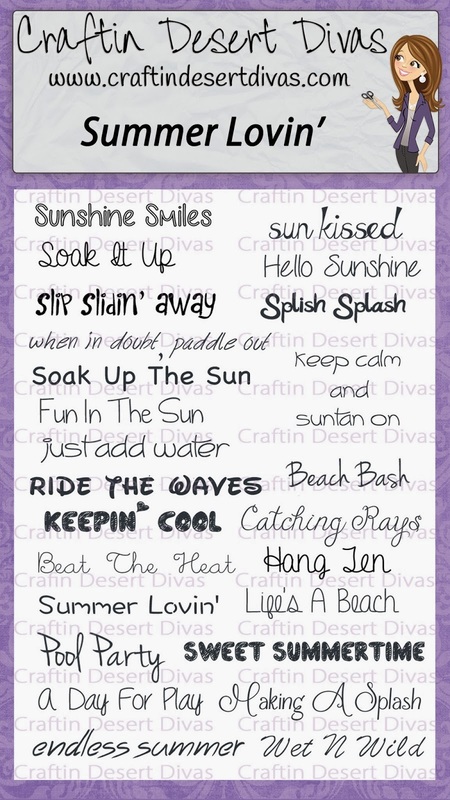 Next up on the Line Up is the amazing Michelle B . Tara is giving away one stamp set each day of this hop. So the more you comment the more chances you have to win. 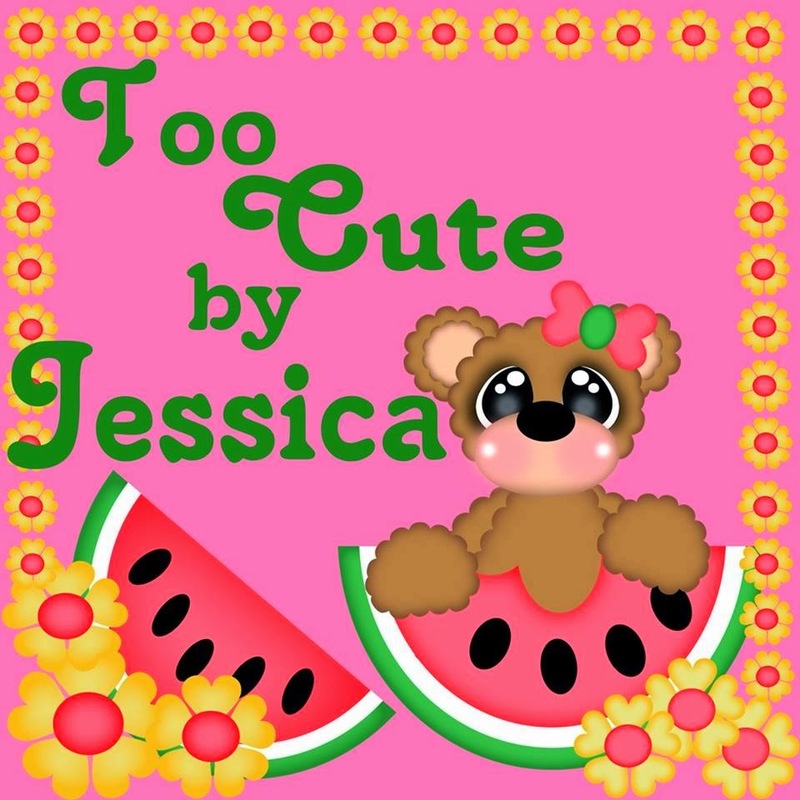 Too Cute by Jessica - $25 in Reg priced patterns. Absolutely adorable, Love the papers with the balloon! Thanks for the inspiration. Great card. Love the hot air balloon. This is so cute !!!! I love everything !!! Ooohh, this pink hot air balloon with the cute eyes is so adorable. Love this swing card and the great sky PP with a fitting sentiment # YOLO. Wow, what a great card! 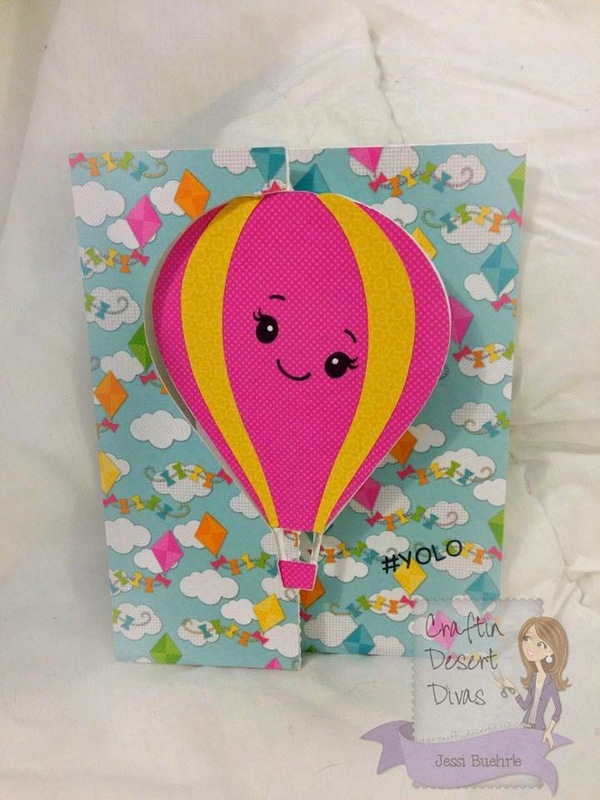 Great idea for the hot air balloon as a swing card; seems like that would be hard to do but it's perfect! Super cute card! Love the darling little face and fun sentiment! OMG your card is outstanding. How creative and clever of you to make a Hot Air Balloon swing card I love and have never seen this done before great creative job!! You are REALLY talented. Wonderful job with the cute card and the new stamps. such a sweet card, love the fun fold. I'm fond of Hot Air Balloons & your card also. Thanks for sharing your wonderful hot air balloon card. Great swing card and the hot air balloon is darling! 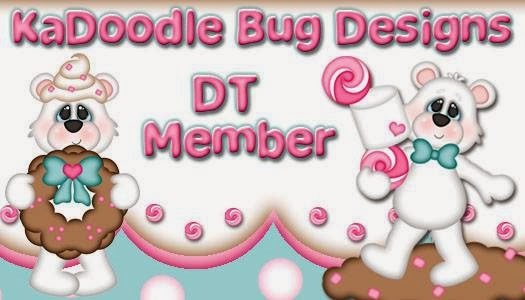 I just love the fun background paper you used, it is absolutely perfect with that hot air balloon! Awesome card! A very fun and bright colored card! Super fun and cute card. Thanks Jessi. This card is fantastic - gorgeous creation! Super cute card, love the kite paper and cute balloon. 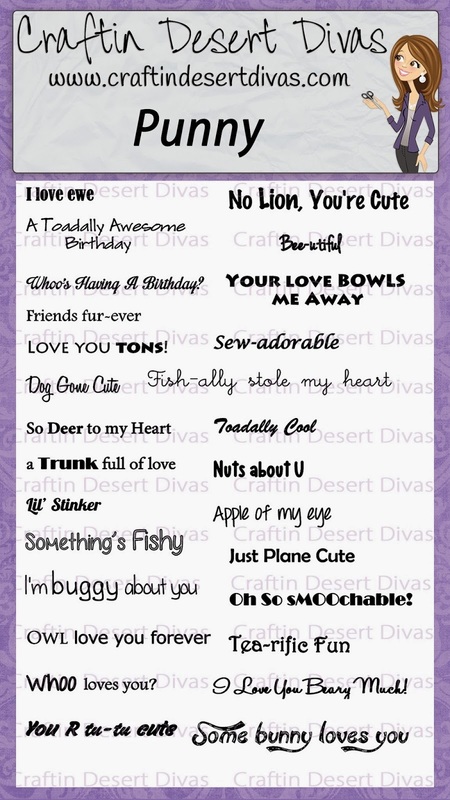 i am just loving you fun card!! Fantastic flip card! !